Ava is a hardworking federal employee at the Pentagon. By day she is a bulldog working Top Secret missions and by night, she writes cutesy children’s books in hopes of turning her writing into a fulltime profession – a polar opposite of her day job. She has become disenchanted with the “mystery building” and surmises her experiences as a cross between two movies, “The Shawshank Redemption” and “Groundhog Day”. Added to her professional dissatisfaction she also struggles with sexual and spiritual fulfillment. When Ava notes to her hair stylist her inability to turn off the Pentagon chatter in the evenings and focus on her writing she is informed of an experimental device her stylist has invented which allows one to operate in left brain or right brain mode at their control. Desperate to put all of her energy into her writing in the evenings Ava agrees to have the device implanted. 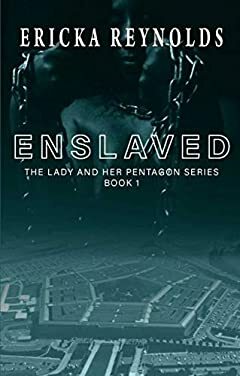 The events following this decision not only drastically change Ava’s life but impact the daily operations of the Pentagon and have her friends and lover at a loss for understanding the new Ava.